What is the mystery of the pond in the park? 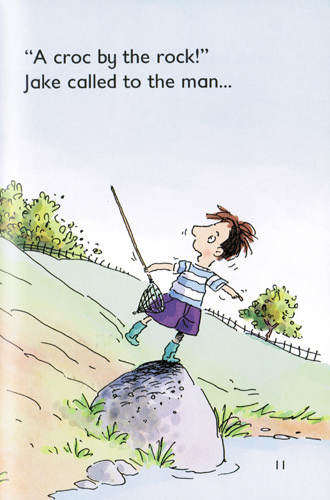 Jake has got his net and he is determined to find out. Something is lurking down there! 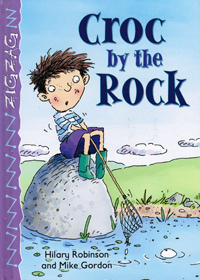 Follow Jake on his hilarious search and discover what he really finds at the bottom of the pond! 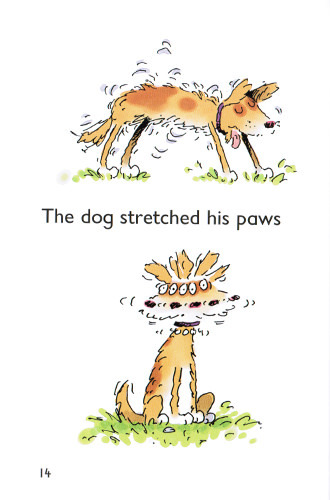 This rhyming story is packed with humour and fun and is perfect for lap-time sharing. 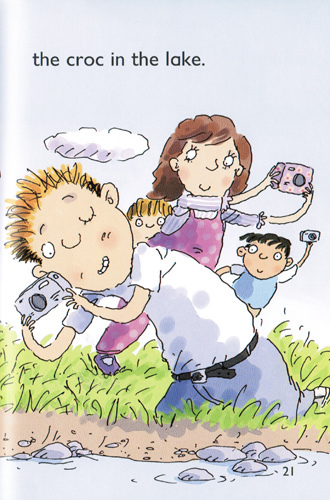 Mike Gordon’s illustrations hit just the right note of humour for young children! 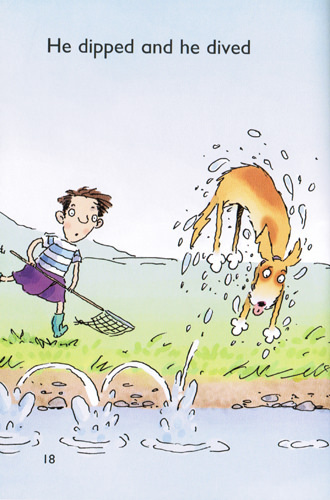 Our dog once swam in a river where there were crocodiles! We didn’t realise at first and managed to get him to come back out! 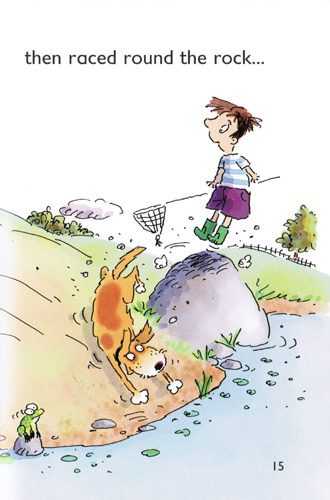 Now every time I see a dog having fun in the sea, on in a pond or a lake I think ... watch out there may be a croc about!